Joe, W8GEX and Janet, W8CAA will be active from Exuma Islands, IOTA NA-001, Bahamas, 19 - 26 March 2018, as C6ADX and C6AYL. They will operate on 40 - 6 m SSB, Digital modes . Joe Pater, 2419 Pierson Rd., Oxford, Oh 45056, USA. Janet K Pater, 2419 Pierson Rd, Oxford, OH 45056, USA. Exuma island – a place in Bahamas that consists of 360 islands. These islands are called cays and the largest one is the Great Exuma. With the length of 37 miles, this island is connected to Little Exuma – a smaller area connected by the bridge. The entire island is quite vast. The population becomes double in 2010. After the small resort businesses become a widespread, the properties get high and people come to Exuma to work and pleasure. Things get better when the direct airflights are available from and to Exuma island. People from Toronto can actually fly directly to Exuma. It was in 1783 that the American expatriates brought plantations to the island. It became a major economy source as the cotton plantation grew massively. The George Town was given to honor George III. The settlers were loyal to the leader and the cays owned private businesses too. The group of settlers were divided with digit numbers. For instance the Exuma 643. John Rolle was a popular man in the island. The loyalist of Exuma had a big role in the island’s cultural heritage that everyone honoured his name by naming streets after his name, such as Rolletown and Rolleville. The Great Exuma ows him a lot. Exuma island is very popular for many outdoor activities. The sailing and diving plus cave exploring – these are just a couple of fun things to do in the island. The offshore reefs are pretty to explore and the area includes Sea Park of the Bahamas National Trust and Exuma National Land. 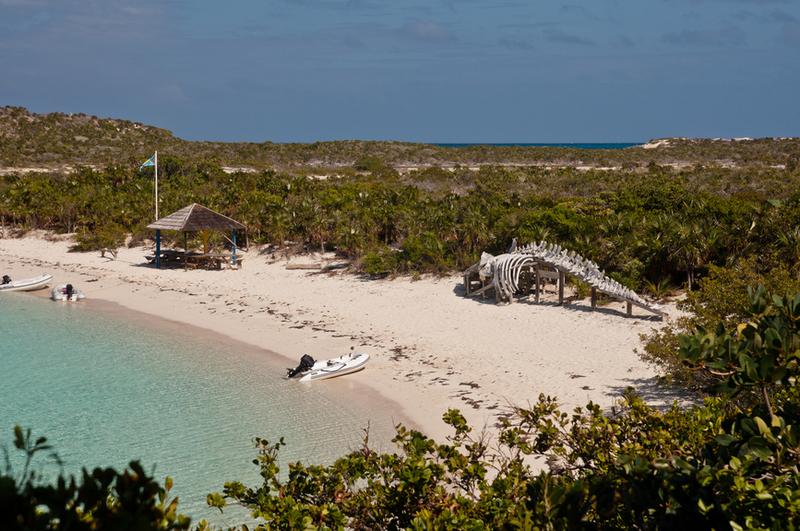 The permanent residents include a location featured in James Bond’s thunderball movie – Staniel Cay. Sandy Cay is just a short distant of boat ride from the big island. there were many films shot in the island such as Shell Commercial and Pirates of the Caribbean movie. Great Exuma also becomes the set of Wind From The Carolinas – a bestselling novel. Lucayan Natives – the first settler in Exuma, were enslaved outside the island. Hence, they left the island uninhabited. The pirates would hide in the island for stashing out. Since Exuma is the paradise on earth, there are many celebrities who escape to Exuma to avoid spotlight. This is a suitable getaway for those famous visitors. Some names were seen in Exuma are Countess of Snowdon who owns a home in Goat Cay. Jessica Tandy and Jackie Onassis spent times in Exuma for decades and Sigourney Weaver was also seen in the beach of Exuma with her family. The low cost island has made the tax regime a good thing. This is why, many celebs own islands in Exuma. Nicolas Cage, Johnny Depp, Tim McGraw and David Copperfield are among the famous people who purchased island in Exumas. You can reach Cays just by boat. The Exuma is best seen from water. The deep blue ocean and clear blue water will be a gem you should not left behind. The cruising activity is like a chained business in the island. you can rent your boat or charter the skiff. Heading northwest, you can make a stop in the sandbar and go on a snorkelling activity. Drop your anchor and ready to sip the wine in your boat. 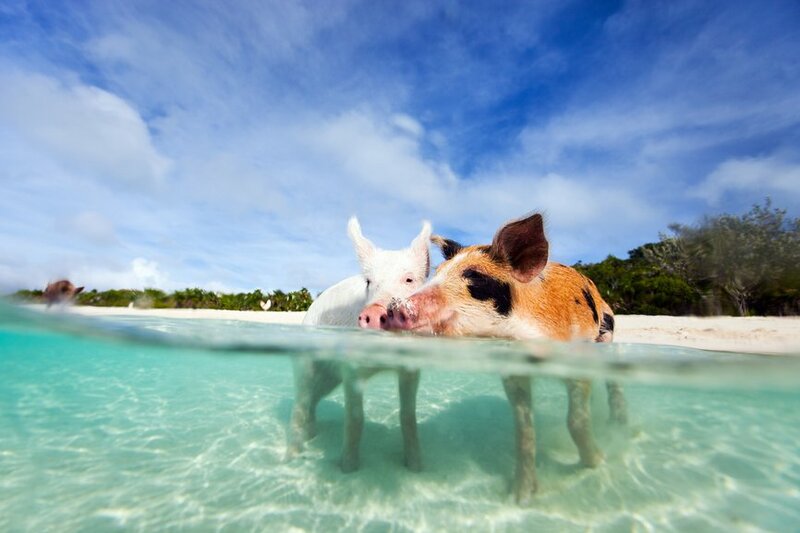 There are swimming pigs with fish species that you can see with your bareknaked eyes. The grill is also a fascinating stuff you should experience. Docking your boat in Staniel Yacht Club and dive the Thunderball Grotto. Witness the site as in one of the James Bond’s movie. 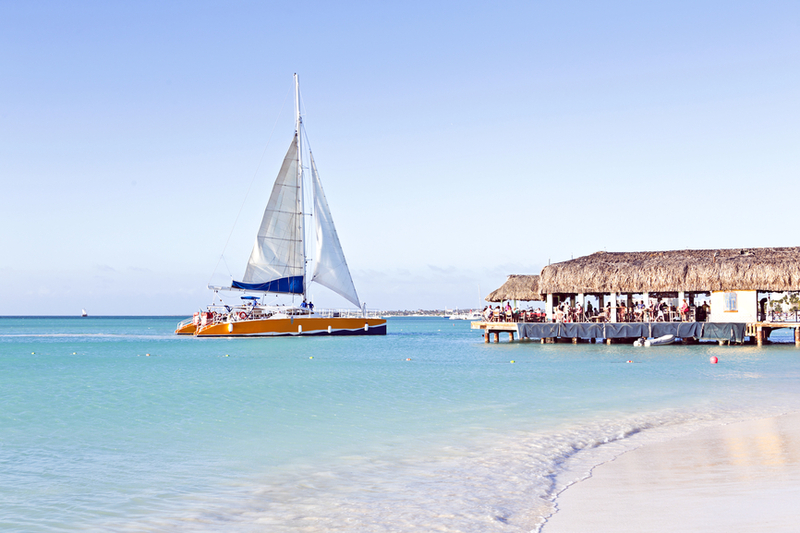 Compass Cay is the next stop to chill out with a can of beer on your hand. There are various budgets to rent your ride but none of them are too expensive. You can also hire a tour guide for $300per pack. This nature preserved eco water sport is an incredible park that is managed by the Bahamas National Trust. The area has coral and marine life with amazing views. Encompasses of cays, the drop anchor is where you start the fun activity. There are many souvenir sellers and you can also hike up to the mountain. The water is protected and this eco friendly zone really makes everyone excited. You can snorkel or dive or just sipping cocktail on the beach side and enjoy the authentic cuisines from the best Exuma restaurants. Stocking island is situated near the George Town. With a quick ferry, you will be able to visit Stocking island that stretches 5 miles away across the harbour. From the mainland of Exuma, Stocking island is accessible easily. It is also the place for party goers where beach clubs and grills are lining up waiting for you. There is a private beach that charge nothing to the visitors. The resorts and properties have a great boat facility that commute people 2 times a day. The bars are exotic and chilling. You can really enjoy the bbq time with friends or grab some burgers. Stocking island also provides snorkelling activity and scuba divers can really enjoy the lovely scenery. The land is accessible by boat so it is quite secluded. This beach is another nature beauty that you should visit. The one lade bridge and the pretty scene will be a breathtaking experience for you. The Cancer beach is situated on the south of Great Exuma. The quiet place is accessible by car but since this is quite a remote place, there is not much of things to buy such as amenities. No side bars or souvenir shops around here. This is the right place for a secluded honeymoon away from the press! You can bring along your picnic snack and have a lunch on the beach. or drive up the road to Santana Grill and grab your fritter and cocktail. C6ADX C6AYL. Where are Exuma Islands located. Map.